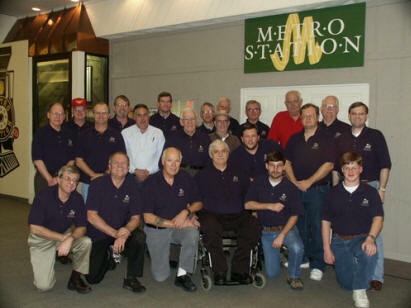 The Red Caboose Crew, formerly part of the Jackson Society of Model Engineers, is a volunteer group responsible for Jackson Station, the O gauge layout at the Ag Museum. For years, the goal of the group has been to educate and entertain through the construction of model railroad displays that are enjoyed by kids of all ages. The Crew is also responsible for keeping the Red Caboose inside the Ag Museum's Heritage Center, a life sized model of a real caboose featuring historical hardware. Though our name has changed, our mission has not. We donate our time for the benefit of children throughout Mississippi. The Crew holds a business meeting on the first Monday of each month at 7pm. Additional working sessions occur on various schedules. Visitors are welcome! Please contact us if you would like to visit, so we can expect you. Location: The Mississippi Agriculture and Forestry Museum off Lakeland Drive in Jackson. Our group meets inside the Heritage Center on the Museum grounds.